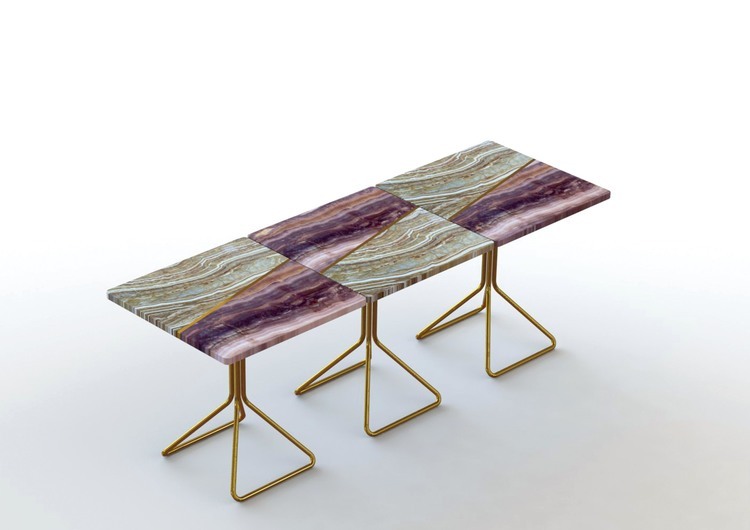 Modular tables made of marble and polished brass. Using 50/50 cm modules you can create compositions to form a coffee table or simple nightstands. The tops are made of Onyx Violet and Onyx Tiger paired together by a polished brass profile which creates a pattern when they are joined. The structure of the legs is made by bending a brass rod which is subsequently polished by hand. 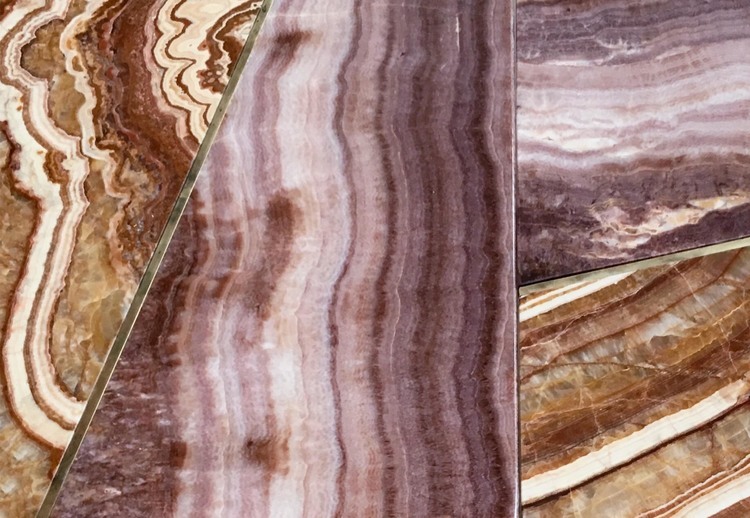 High-quality materials such as brass and onyx marble give shape to a strongly material object.